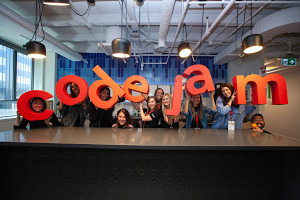 In 2014, a team of Googlers, including several former teachers, began spending time with educators. 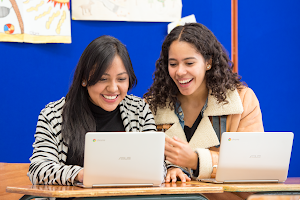 We learned that teachers loved using G Suite’s collaborative tools with their students, but found that some of the features were complicated to use. From the very beginning, Google Classroom focused on simplifying tech, so that teachers and students could spend time on learning. Today, we’re continuing that mission and announcing the biggest refresh to Classroom since its launch. We designed Classroom to be as easy to use as possible, so we originally provided one class Stream for teachers and students to share new content and ideas. But a single stream, while simple, became too crowded, and it was hard for teachers and students to find what they needed. That’s why we’re introducing a new Classwork page, which lets teachers better organize assignments and questions by grouping them into modules and units. With a dedicated page for classwork, the Stream can be a better hub of class discussion and activity. It’s conveniently organized in a separate page to reduce clutter, so that students can have discussions in the Stream to develop their online communication skills within their classroom community. Providing frequent, actionable feedback is a key part of the learning cycle, but it can be time consuming to give thoughtful, personalized feedback to each student. So, we’re introducing a new tool, built directly into Classroom’s grading workflow, to speed up grading and encourage thoughtful engagement. Instructors now have a comment bank, so they can easily save and reuse commonly used feedback. They can also quickly toggle between student files and submissions when grading, without having to open each file individually. The new grading tool works with Docs Editors, Office files, PDFs, videos files, and more. Copy and reuse classwork: Now teachers who want to re-use previous classes, or educators who collaborate to design a class can easily copy all topics and assignments from one class to another. All work will be copied as drafts, so teachers can still make modifications before posting. Improved People and Settings pages: We’ve consolidated information to help users get to what they need more quickly. Teachers can view and manage co-teachers, students and guardians on the People page. We’ve introduced a Settings page for all class settings, so teachers have one convenient location to update class descriptions, display or reset class codes, manage and control how students post on the Stream, and more. Turn off notifications for a class: We’ve heard that teachers often join each other’s classes as co-teachers to share content and teaching strategies. But, getting notifications for all activity in a class can get overwhelming. There’s already a way to turn off specific types of notifications, and now, you can turn off all notifications for a given class. Materials on the Classwork page: Teachers will be able to add Materials on the Classwork page. This will support sharing and organizing resources like readings or reference materials. Classwork page for existing classes: Moving forward, any new class that you create will automatically have the Classwork page. For any classes you created before the refresh, we’ll soon provide a way to add the Classwork page to them. Create quizzes in locked mode: We announced at ISTE that teachers will be able to use locked mode to keep students focused and distraction-free when taking Google Forms quizzes on managed Chromebooks. We’ll also be adding the ability to create Google Forms quizzes from Classroom, streamlining the assignment process and saving time. This is Classroom’s biggest redesign yet, and we’re committed to helping you master the new workflow. We’re excited to announce new trainings in the Teacher Center, created by a dedicated community of Classroom experts. From getting started with new features, to favorite tips & tricks, these new trainings are your guide to getting the most out of the updates. These new updates will start appearing in Classroom today, and roll out to everyone over the next couple of weeks. For more details on these updates, check out the Back to School FAQs. As always, we encourage you to use the “Feedback” button to let us know what you think. We hope you have the best school year yet!